Hi everyone! 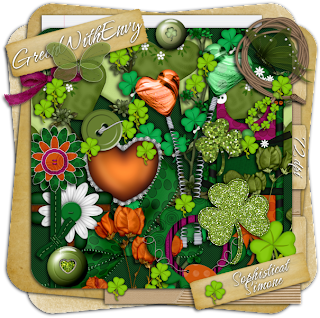 I'm happy you love the Green With Envy scrap kit. Thanks so much for the feedback, I really love to hear from you all. 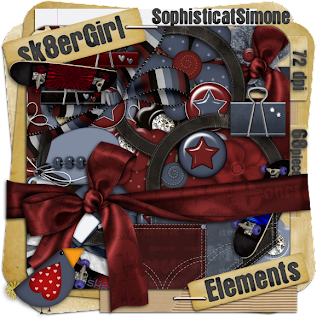 Ok, so I made a new scrap kit called "Sk8r Girl" and I hope you get lots of play with it. Two of my buddies have made tuts with this kit and I'll post the links as soon as I can. Shouldn't be long before I get them. 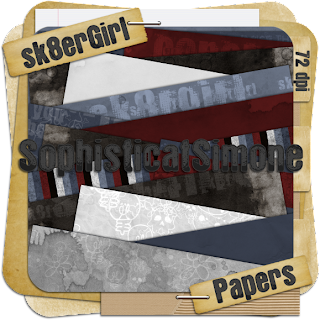 Here's the preview for the elements, with the paper preview to follow. 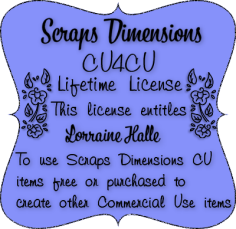 Here's a new scrap kit for you all. Hope you enjoy. I would love to see anything you make with this kit. 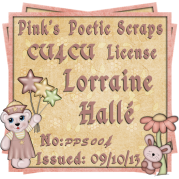 If you make a tutorial, please send the link and the tag and I'll post here on my blog.